The new Metal Hybrid PPTC device, MHP-TAC, offers higher voltage rating (12VDC) and smaller size than typical MHP-TAM devices. 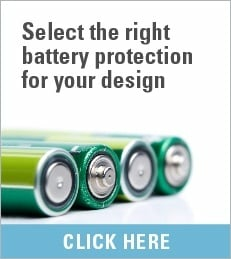 MHP-TAC helps to meet the battery safety requirements of higher-capacity Lithium (Ion) Polymer and Prismatic batteries found in most mobile devices such as laptop PC’s, tablets, and smart phones. MHP technology connects a bimetal protector in parallel with a Polymeric Positive Temperature Coefficient (PPTC) device. The PPTC device is to act as a heater and to help keep the bimetal latched until the fault is removed. The resulting MHP-TAC helps to provide resettable overtemperature protection.